A quirky Camden townhouse, originally designed as a photo library and now transformed into a super spacious home. 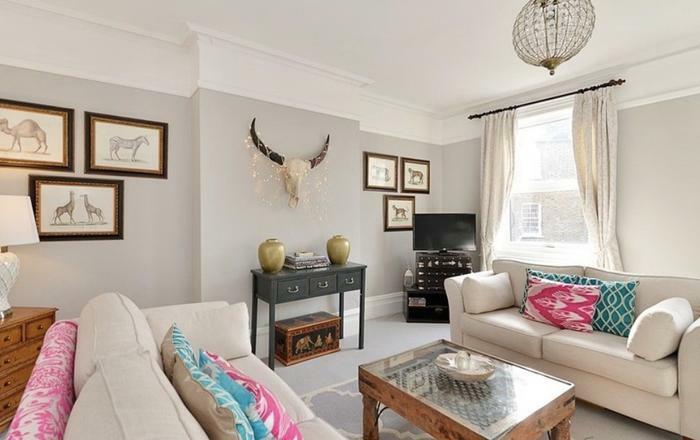 Well located on a quiet residential street in popular Camden. Beautiful Regents Park is a short walk away as are Primrose Hill and Camden Town. On the ground floor, enter off the street to a comfortable dining ‘hall’ with black stone flooring, dining table and chairs for six and a compact kitchen. The spacious living room is adjacent and offers comfortable sofas, Wifi and TV. The kitchen is on a the ground and is fully equipped with a fridge/freezer, dishwasher, electric hob, full-sized oven, microwave, kettle, toaster and utensils. Small but more than adequate to prepare basic meals. A delightful bedroom is upstairs and is a magical space to retreat and listen to the London rain. The room has a double bed, ample storage, TV and skylights with black-out blinds. The second bedroom is off the living room and offers a double platform bed. This bed is accessed by three steps and is suitable for two adults or children over twelve years old. On the mezzanine is a handy study area complete with desk and chair. On the first floor and adjacent to the bedroom is a chaise longue and space for a baby travel cot, if required. Plenty of space here to ponder or dream plus more skylights here to gaze at the London sky. The upstairs bedroom has an en-suite bathroom with a small bath plus overhead shower, WC and basin. A second bathroom is on the ground floor and is a wet-room with power shower, basin and WC. A baby travel cot and a portable air-conditioning unit are provided. A quiet side road houses your flat here in hip and happening Camden. Stroll over to the world famous market or down to the canals. Regent's Park and London Zoo are also a meander away, as is Primrose Hill with it's own beautiful open spaces. Camden Town itself will never let you down with its host of entertainment and places of interest. Enjoy a music scene with venues that are the envy of the rest of London. Find a good local pub and take it all in! Mornington Crescent underground is a short walk from your flat with Euston Station a little further off with its excellent transport links. “The house is very nice! Very comfortable for 4 people (2 couples). 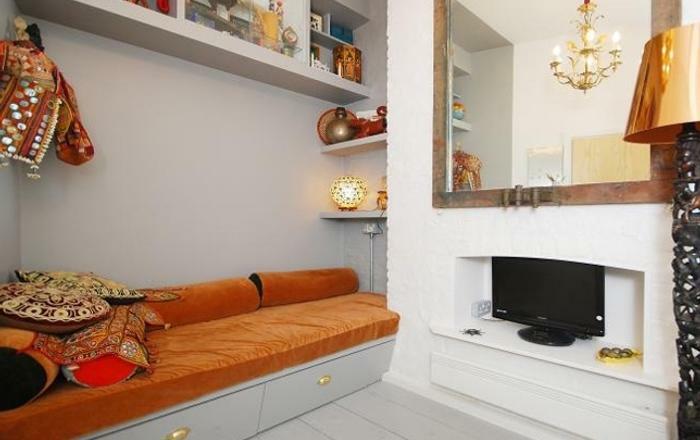 The photos on Airbnb are not quite correct as the furniture is a bit different but all in all it offers everything you will need for a visit to London. Also, you shouldn't have a problem with ants or snails as they can come into the lower floor somehow. Underground and buses just around the corner, as well as shops, restaurants and pubs. Clearly a recommendation! Thanks, Liz!” Stefan, March 2019. 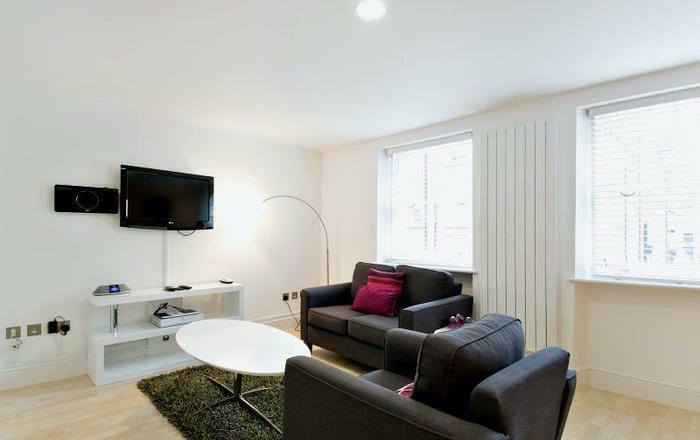 The apartment is quite centrally located, and just off the high street in Camden, so the proximity to great amenities was very convenient. Also, Mornington Crescent station is nearby and makes travel within the city easy. A full kitchen, washer/drier, and two w/c made our stay very effortless. We arrive late evening due to flight delay. But the owner welcomed us quickly when I arrived. The house is cozy and all the facilities are equipped well. Although the hot water system met a little problem, the owner came and fixed it immediately. It is good experience overall. Everything is good, very comfortable place and convenient location. A very good apartment for two couples." Un acogedor y muy cómodo lugar para 5 personas, cerquísima de Camden Town para salir de compras, restaurantes o fiesta. Una zona muy tranquila y fácil de conectar con autobuses, una limpieza destacable del lugar con buen sistema de calefacción e iluminación. Definitivamente si vuelvo a Londres, pasaría por acá. The location of this listing was excellent. It was near to Camden Market to go over for food and entertainment yet was undisturbed by the noise and crowd at the area. It was also in close proximity to the tube and was really convenient to go anywhere in London. The agency was also very responsive and helpful. Although there was some problems during the stay, Elizabeth was able to solve it quickly and effectively. The roof on the upper floor was rather low. The bed on the lower floor was also elevated which resulted in us hitting our head against the ceiling a few times. Apart from this, the apartment is very well-equipped with everything we needed and was really cosy and welcoming. I would definitely recommend this place to anyone going to London! 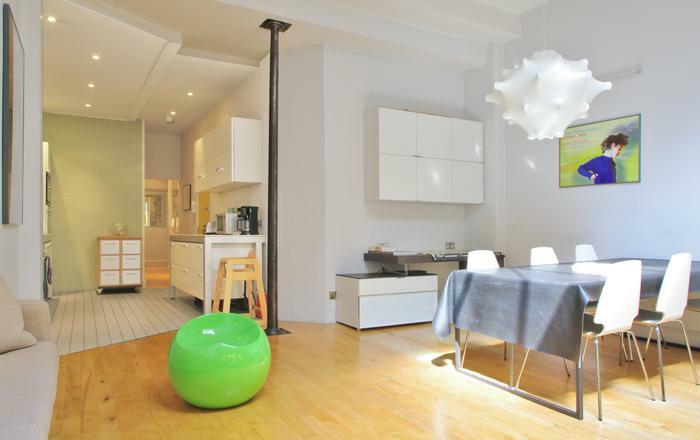 Its an amazing location close to tube & bus stations, shops and Camden market. The host is a very nice couple. The accommodation is at three different levels but convenient. We had a wonderful stay. Logement calme, pratique et agréable -sensation d'espace créé par les différents niveaux et la verrière. on a plus l'impression d'être dans une maison que dans un appartement. accueil chaleureux du propriétaire, contact facile et réponse très rapide aux mails. Situation convenable: à proximité des bus, métro, supermarchés et commerces, parc. idéal pour visiter Londres. je le conseille vivement! Hello, our rental experience was good. Practical and beautiful the apartment. Great location, near the subway but far from noise. I thank all the Team London Agent for the courtesy and professionalism offered. Our family of two adults and three girls, has now been happy to stay at the Camden NW1 Photo Library. 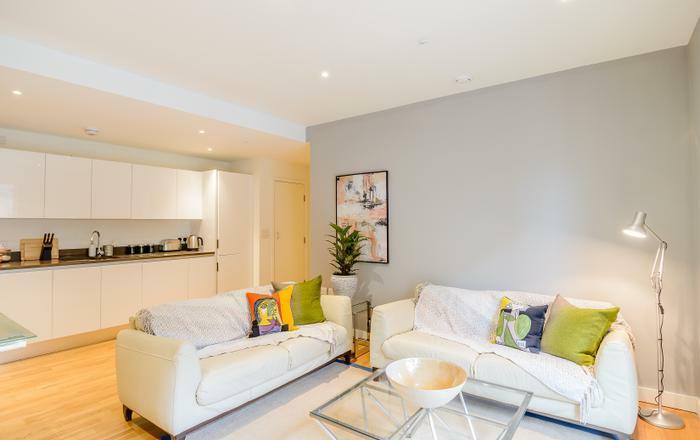 Place in the north, quiet, near Camden Town, immediately next to the heart of London and easily accessible via the metro station Mornington Crescent. Many supermarkets and shops are located within walking distance from the house. Much appreciated the friendliness and courtesy and we send our best regards. Fun place to stay. Don't be fooled by the one bedroom part, there were 5 of us and we were really comfortable. Close to the high street and market with shops and restaurants, you have everything you need not far away from you. Great to be able to walk home after a late night out. We really enjoyed staying at the Photo Library . It was very well located for the children having Regents Park and the Zoo nearby! Large enough to accommodate a family and friendly hosts. Dear London Agent team, we would recommend the Camden Photo Library to future guests. Its location is very close to a lot of means of transport and there are a lot of choices . In the near Camden High Street one can find a complete range of supermarkets and shops of every kiind. 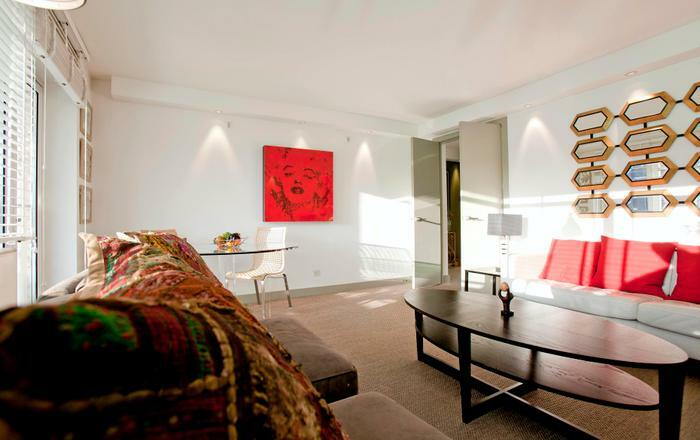 The apartment is lovely, comfortable, very much lighted and there is enough space for a familiy. 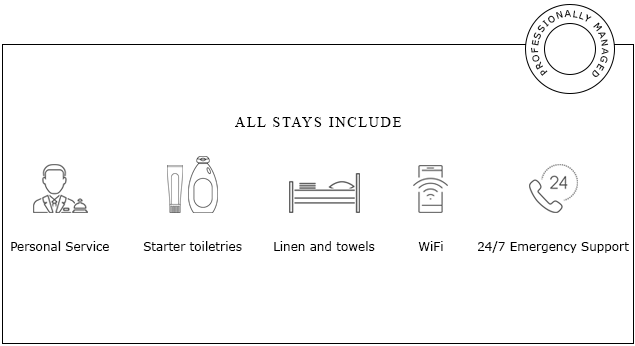 It's well equipped with kitchen utensils and bed linen. We enjoyed our stay there very much. 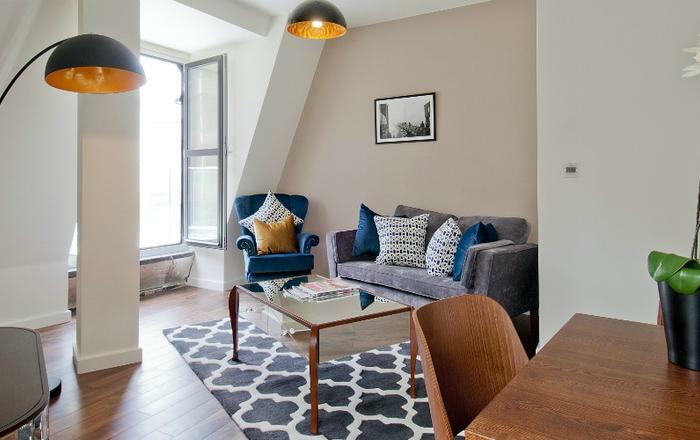 This flat was the perfect London base for a family of 4 including two children aged 5 and 9 (the hard metal stairs would be an issue for younger children). Despite it being one bedroom, 3 beds were available and there are two bathrooms. The way the space is utilized is genius! It's a lovely, light flat a very short walk to a Sainsburys supermarket and the Underground station. We also walked to a great playground in nearby Regent's Park. The flat is well equipped and the owner is very helpful and friendly. We hope to return. Penny from Spain, March 2014. Fabulous place to stay in London. Not for the fussy posh hotel aficionado maybe but brilliant for me. 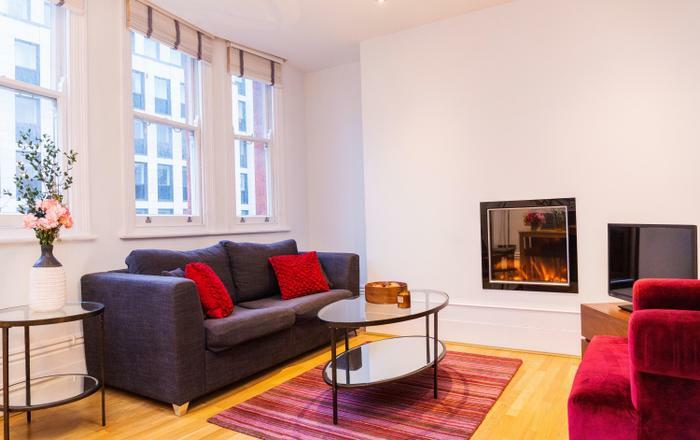 Excellent location, very easy short walk to tube, buses and easy to reach main line stations by public transport. Plentiful cabs around. Owner has ph number of brilliant cab hire firm. Close enough to walk to Camden Lock Market if you want to but far enough not to be surrounded by the crowds. Very villagey feel with local shops, plentiful good reasonable restaurants and shopping for daily needs. Very quirky place, very Camden Town. Very me. I grew up in the area so it was an amazing walk down Memory Lane. Owner could not have been more helpful or accommodating with extra bedding etc. and fixing the one small glitch I had as soon as I told her. Sitting on that chair under the skylights reading and listening to the rain on the glass roof was an absolute delight. I'll be back next time I'm in London. 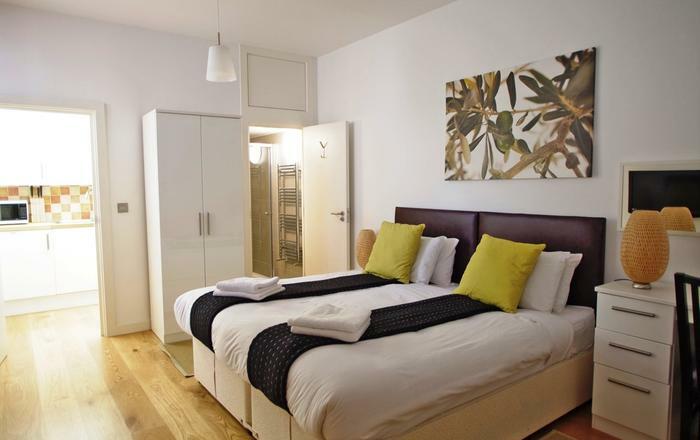 Fantastic stay in London, apartment was central Camden, spacious and clean, as soon as we arrived and phoned we were met by Liz who was very friendly and helpful. Definitely value for money, only negative is that you have to book for a minimum of 5 days. Would love to stay here again but only normally visit for 2-3days each time. Thank you very much for everything, the experience was great! Great apartment and location, highly recommendable. Perfect for family with separate bedroom, living area with another loft bed and couches. Handy kitchen plus clothes washer and dryer and a second bathroom. Flat's good WiFi reaches to pub across the street, handy to hang out and relaxing. Location right on the street (former shop front) you can hear conversations of people walking by but it is a quiet side street and not a problem. Street with shops near transport hubs of Euston and St Pancras. Our 7 day transport pass was a huge bargain for hopping around. 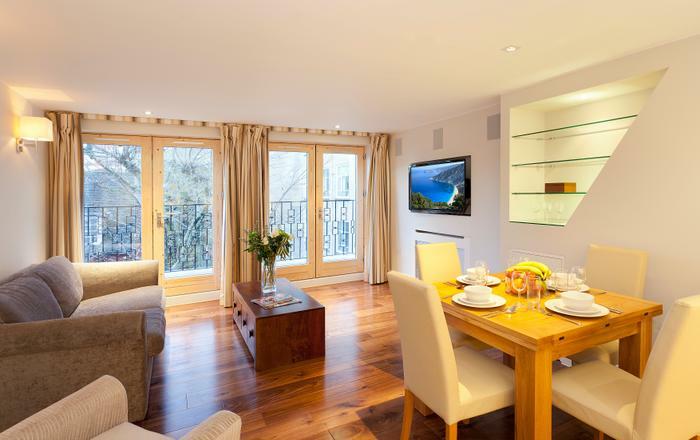 Don't miss walking/jogging in Regents Park and views from Primrose Hill nearby.